A leading science hub has been granted permission to expand so more hi-tech businesses can call its Oxfordshire site home. 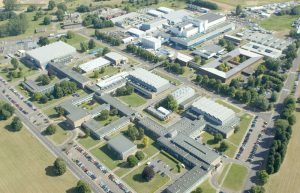 In a visit to Culham Science Centre, Science Minister Sam Gyimah announced that the UK Atomic Energy Authority (UKAEA) would be able to expand the site to create new facilities for companies working in fusion-related fields. The centre already hosts around 60 companies, including 20 start-ups, employing around 1,500 highly skilled science and engineering specialists. The site is home to some of the world’s most exciting fusion research. It has hosted the world’s most powerful fusion experiment, JET (Joint European Torus), since 1983. Minister Gyimah addressed staff during his visit, underlining the government’s commitment to fusion research post-Brexit. From fusion energy, to software for driverless cars, to air-breathing rocket engines, this site is engineering some of the most exciting science in the world. The UK is an innovation powerhouse and with science and tech experts moving here, thriving here and growing their businesses here, it’s a vote of confidence in UK science industry. We are committed to attracting and retaining both homegrown and international talent and will keep supporting international collaboration as we tackle the grand challenges of tomorrow and build a Britain fit for the future. The minister’s announcement is excellent news and means we can begin to establish Culham as a home for hi-tech business in fusion and adjacent sectors and reinforce Oxfordshire’s status as a powerhouse of innovation. The visit was also an opportunity to show the Minister how UKAEA’s new research facilities will help to get fusion energy on the grid. Fusion could be the ultimate low-carbon energy source, but commercialising it entails overcoming challenges in physics, materials science, engineering and robotics. Recent government support is enabling Culham and the UK to be right at the centre of this world-changing technology. The government has made a clear commitment to science in its ambitious modern Industrial Strategy, which sets out the aim to boost private and public investment in research and development to 2.4% of GDP by 2027.